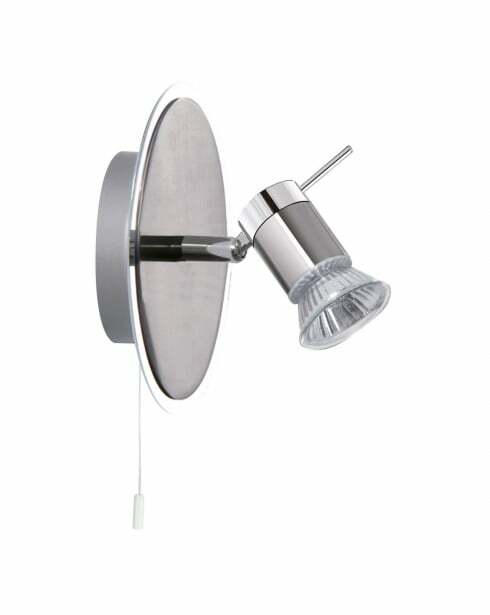 The Aries range from Searchlight is a line of IP44 spotlight fittings which are suitable for use in a bathroom. 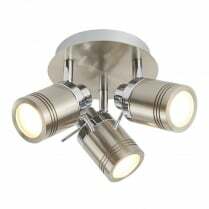 Each light is supplied with the required number of IP44 rated GU10 LED bulbs and replacements can be found in the accessories section of our website. 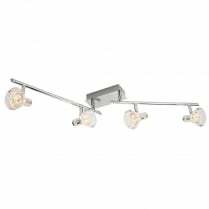 The Aries line is finished in polished chrome with satin silver details. 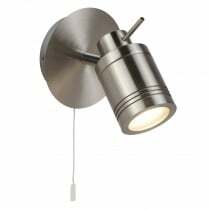 The 7441CC-LED is a wall mounted spotlight with an integrated pull switch. 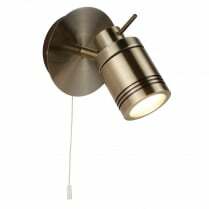 The Aries wall spot has a height of 13cm, a width of 7cm and projects 14cm from the wall. 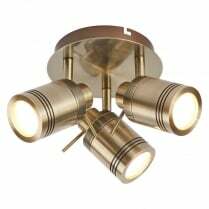 IMPORTANT: When replacing the bulbs in this fitting they MUST be rated IP44 for use in a bathroom. 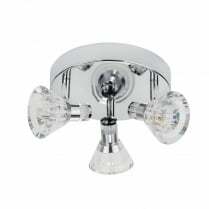 Use of unrated bulbs will compromise the waterproofing of the fitting and invalidate the warranty.